Today's customers can shop around the globe, find out more than ever before about the organisations they're dealing with and share their views with hundreds of thousands, not millions, of fellow customers. Their expectations - be they consumers, citizens or business customers - are soaring. And they can make or break brands overnight. So how are CMOs faring amid such turbulence? 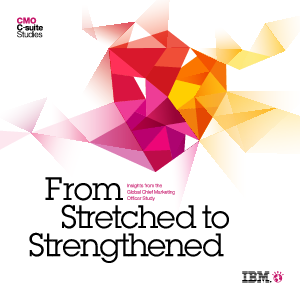 We conducted face-to-face interviews with 1,734 CMOs, spanning 19 industries and 64 countries, to find out what they are doing to help their enterprises cope with the fundamental shifts transforming business and the world.